Hello! 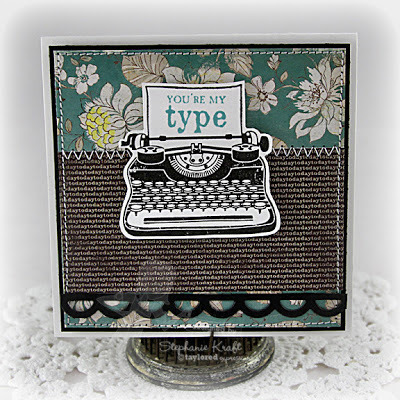 Welcome to the Taylored Expressions March Sneak Peek Day One! 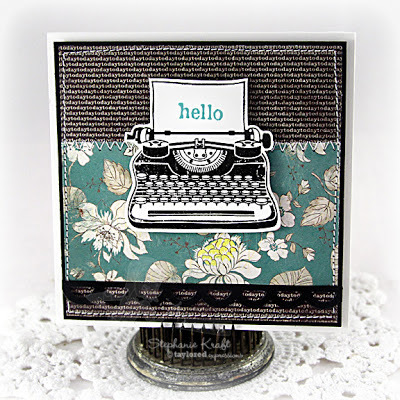 We are releasing 5 new stamp sets and 9 new dies... I know you are going to love it all! I have a couple of cards to show you today. I used Vintage Dreamer, a full-sized set that was released last February as a Key Ingredients Subscriber Exclusive. Now it will be available for general release! Accessories: Taylored Dies: Open Scallop Border (Taylored Expressions), Foam tape, Thread, Sewing machine. These are simply beautiful, Steph!! 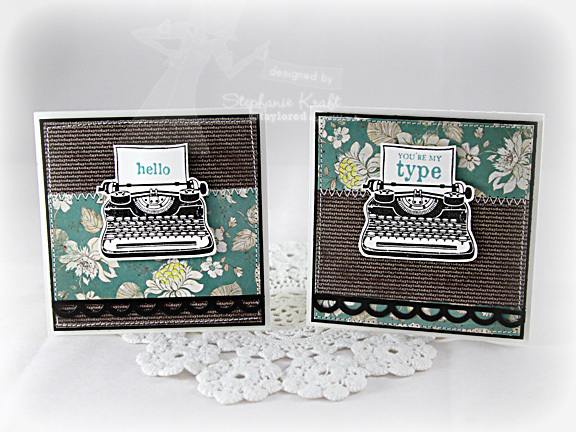 Oooh - love the typewriter in bold black, Steph! These really POP! Stephanie this set is gorgeous!! Absolutely amazing!! I love the stitching and choice of those papers are perfect!! Gorgeous!!! xoxo! Love your cards Stephanie! Just love that color combo. Beautiful cards, Steph! Your paper choices are gorgeous and look great with the new Open Scallop Border die! Love these Steph!!! Gorgeous papers! I love these! 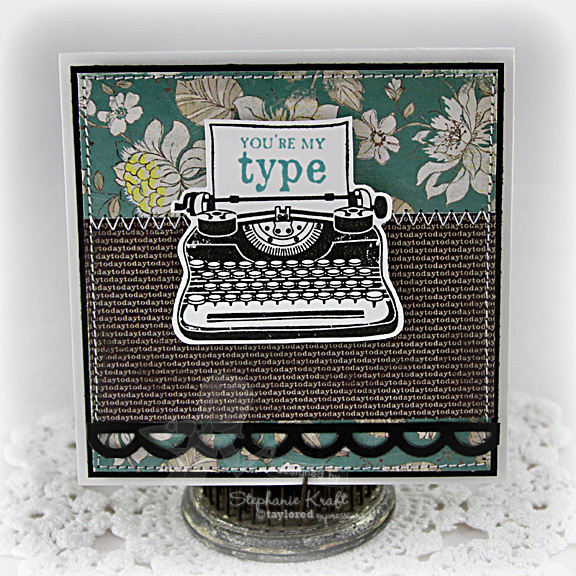 What great retro colors and patterns! These are just beautiful, Steph!